The Smithfield Police Department has proudly maintained national accreditation since 2001, through the Commission on Accreditation for Law Enforcement Agencies, Inc. (CALEA). CALEA Advanced Law Enforcement Accreditation (Tier 2) requires that the Department maintain compliance with over 400 standards. 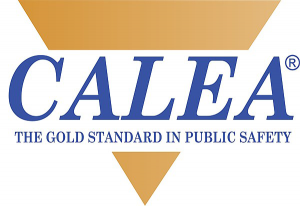 Some notable Department achievements include earning “Accreditation with Excellence” status in 2013, and in 2016, successfully completing CALEA’s “Gold Standard” assessment process. The Smithfield Police Department must continue to prove compliance on an annual basis, and is due for its next, comprehensive on-site assessment in late 2019. For more information regarding CALEA and its programs, please visit www.calea.org. The Smithfield Police Department was awarded state accreditation in 2013, and re-accredited status in 2016, through the Rhode Island Police Accreditation Commission (RIPAC). The RIPAC program requires the Department to maintain compliance with several, state-specific law enforcement standards in addition to the national standards. 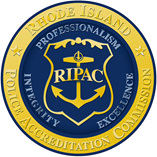 For more information regarding RIPAC, please visit the accreditation page on the Rhode Island Police Chiefs’ Association website at www.ripolicechiefs.org. Law enforcement accreditation is a voluntary process that remains a key component of success for the Smithfield Police Department. For further information regarding the Department’s national or state accreditation efforts, please contact Deputy Police Chief Robert W. VanNieuwenhuyze at (401) 231-2500 extension 102, or at rvann@smithfieldpd.com.